Welcome to the Feast of Power! Welcome to The Feast of Kamál (Perfection)! Purify, O my God, the hearts of Thy creatures with the power of Thy sovereignty and might, that Thy words may sink deep into them. I know not what is in their hearts, O my God, nor can tell the thoughts they think of Thee. Methinks that they imagine that Thy purpose in calling them to Thine all-highest horizon is to heighten the glory of Thy majesty and power. For had they been satisfied that Thou summonest them to that which will recreate their hearts and immortalize their souls, they would never have fled from Thy governance, nor deserted the shadow of the tree of Thy oneness. Clear away, then, the sight of Thy creatures, O my God, that they may recognize Him Who showeth forth the Godhead as One Who is sanctified from all that pertaineth unto them, and Who, wholly for Thy sake, is summoning them to the horizon of Thy unity, at a time when every moment of His life is beset with peril. Had His aim been the preservation of His own Self, He would never have left it at the mercy of Thy foes. I swear by Thy glory! I have accepted to be tried by manifold adversities for no purpose except to regenerate all that are in Thy heaven and on Thy earth. Whoso hath loved Thee, can never feel attached to his own self, except for the purpose of furthering Thy Cause; and whoso hath recognized Thee can recognize naught else except Thee, and can turn to no one save Thee. Welcome to the Feast of Light! Dear friend! Now when the light of God’s everlasting Morn is breaking; when the radiance of His holy words: “God is the light of the heavens and of the earth” is shedding illumination upon all mankind; when the inviolability of His tabernacle is being proclaimed by His sacred utterance: “God hath willed to perfect His light;” and the Hand of omnipotence, bearing His testimony: “In His grasp He holdeth the kingdom of all things,” is being outstretched unto all the peoples and kindreds of the earth; it behooveth us to gird up the loins of endeavour, that haply, by the grace and bounty of God, we may enter the celestial City: “Verily, we are God’s,” and abide within the exalted habitation: “And unto Him we do return.” It is incumbent upon thee, by the permission of God, to cleanse the eye of thine heart from the things of the world, that thou mayest realize the infinitude of divine knowledge, and mayest behold Truth so clearly that thou wilt need no proof to demonstrate His reality, nor any evidence to bear witness unto His testimony. He is God! O ye sons and daughters of the Kingdom: Day and night I have no other occupation than the remembrance of the friends, praying from the depth of my heart in their behalf, begging for them confirmation from the Kingdom of God and supplicating the direct effect of the breaths of the Holy Spirit. I am hopeful from the favors of His Highness the Lord of Bestowals, that the friends of God during such a time may become the secret cause of the illumination of the hearts of humanity, breathing the breath of life upon the spirits – whose praiseworthy results may become conducive to the glory and exaltation of humankind throughout all eternity. It is clear and evident, therefore, that any apparent variation in the intensity of their light is not inherent in the light itself, but should rather be attributed to the varying receptivity of an ever-changing world. Every Prophet Whom the Almighty and Peerless Creator hath purposed to send to the peoples of the earth hath been entrusted with a Message, and charged to act in a manner that would best meet the requirements of the age in which He appeared. God’s purpose in sending His Prophets unto men is twofold. The first is to liberate the children of men from the darkness of ignorance, and guide them to the light of true understanding. The second is to ensure the peace and tranquillity of mankind, and provide all the means by which they can be established. The everlasting Candle shineth in its naked glory. Behold how it hath consumed every mortal veil. O ye moth‑like lovers of His light! Brave every danger, and consecrate your souls to its consuming flame. O ye that thirst after Him! Strip yourselves of every earthly affection, and hasten to embrace your Beloved. With a zest that none can equal make haste to attain unto Him. The Flower, thus far hidden from the sight of men, is unveiled to your eyes. In the open radiance of His glory He standeth before you. His voice summoneth all the holy and sanctified beings to come and be united with Him. Happy is he that turneth thereunto; well is it with him that hath attained, and gazed on the light of so wondrous a countenance. Consider how all created things eloquently testify to the revelation of that inner Light within them. Behold how within all things the portals of the Ridvan of God are opened, that seekers may attain the cities of understanding and wisdom, and enter the gardens of knowledge and power. Within every garden they will behold the mystic bride of inner meaning enshrined within the chambers of utterance in the utmost grace and fullest adornment. Whatsoever occurreth in the world of being is light for His loved ones and fire for the people of sedition and strife. Even if all the losses of the world were to be sustained by one of the friends of God, he would still profit thereby, whereas true loss would be borne by such as are wayward, ignorant and contemptuous. Although the author of the following saying had intended it otherwise, yet We find it pertinent to the operation of God’s immutable Will: “Even or odd, thou shalt win the wager”. The friends of God shall win and profit under all conditions, and shall attain true wealth. In fire they remain cold, and from water they emerge dry. Their affairs are at variance with the affairs of men. Gain is their lot, whatever the deal. To this testifieth every wise one with a discerning eye, and every fair-minded one with a hearing ear. How often hath the human heart, which is the recipient of the light of God and the seat of the revelation of the All-Merciful, erred from Him Who is the Source of that light and the Well Spring of that revelation. It is the waywardness of the heart that removeth it far from God, and condemneth it to remoteness from Him. Those hearts, however, that are aware of His Presence, are close to Him, and are to be regarded as having drawn nigh unto His throne. Welcome to the Month of Beauty 172! Hope you’re enjoying this Ridvan, the King of Festivals! O God! Dispel all those elements which are the cause of discord, and prepare for us all those things which are the cause of unity and accord! O God! Descend upon us Heavenly Fragrance and change this gathering into a gathering of Heaven! Grant to us every benefit and every food. Prepare for us the Food of Love! Give to us the Food of Knowledge! Bestow upon us the Food of Heavenly Illumination! In your hearts remember these things, and then enter the Unity Feast. This month I’d like to feature a Canadian youth group called the Dapper Rappers with musicians Nadim Merrikh, Sahba Shahmohamadloo, Shayan Majidy and Blair Cameron. They’ve put together some really creative hip-hop music which would be particularly inspiring for Junior Youth classes; as they learn about role models of the Faith; and see ways they can be the change in the world. It’s hard to pick a favorite, since I like everything they do, particular the raps telling the stories of several of the Hands of the Cause; so I recommend you listen to all of them; bookmark them and share them widely! The video that won the top prize at the international Tony Blair Faith Foundation’s Faith Shorts awards is “Be the Change”. This contest is open to youth 14 to 18, who submit videos inspired by their faith. The producer of this film, Nadim Merrikh, was only 15 when he made this award-winning video! The next video show junior youth gathering together in groups around the world to explore how to be agents of positive action and service in their communities. This video celebrates the inherent power in this special age-group, showing how they can rise to “Heights of Glory”. 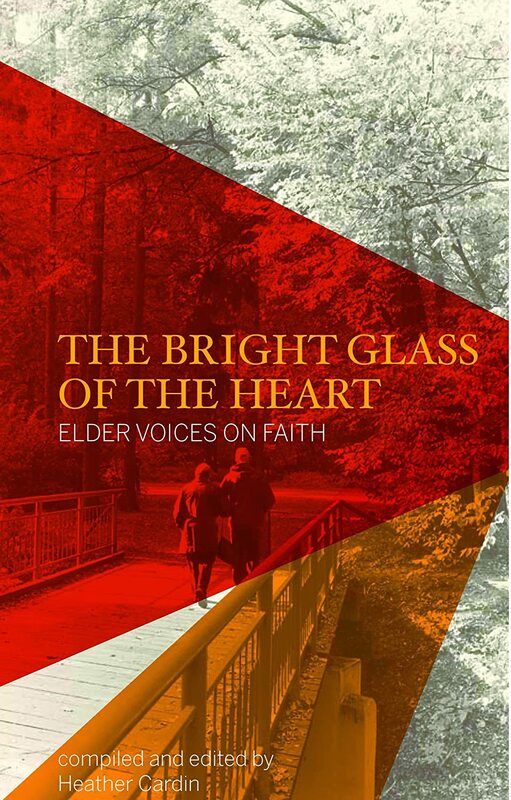 While we’re on the theme of early Bahá’ís who made a difference in our communities, I’d like to introduce you to a book by Heather Cardin, whose book The Bright Glass of the Heart gives us an inspiring collection of personal stories of elder Bahá’ís whose commitment and service laid the foundations of the Bahá’í Faith around the world. We are living the future that the elders envisioned when they, themselves, were young. What was that vision? What did they do to make it a reality? What made them adopt a new religion, perhaps in the face of opposition from family and friends, and spend the rest their lives serving it? What insights can they offer to inspire rising generations? These are the questions Heather Cardin asked elder Bahá’ís. Her book gives us the authentic, powerful voices of our elders, ordinary people looking back on their many years as Bahá’ís helping lay the foundation of the Faith and looking forward to their role in the 21st century. These stories show the effect of this quote in action! This month’s featured coach is Susheel Croft, an accredited dietitian and nutritionist with 30 year’s experience. She is a dietitian with a difference, in that she uses the writings and other secret texts along with NLP, Hypnosis, ayurvedic medicine, reconnective healing, reiki, art, Virtues Project strategies, hands-on energy healing and other techniques in her practice. She describes herself as an “emotional blockage buster and healing coach”! Sushel is offering 50% off an “inner spring cleaning” to help you clear out all your trapped emotions and excess baggage; so you can experience your ultimate well-being, feel contented, loved, healthy and abundant. Are you responsible for this month’s Feast Program? Don’t know where to start? I highly recommend Wendy Scott’s Feast packages. Each month she chooses Writings designed to conform to the attribute of God the month is named after and to inspire us to service and teaching. She has tried to include prayers and Writings from each of the Central Figures, and part of a talk of the Master. Her aim is to find unusual Writings you might not hear all the time to make it even more interesting. She’s made sure that each Feast program is unique, in that the prayers and readings change from month to month. Each program comes with three writings to be sung by everyone (or listened to) at the beginning, in the middle, and at the end of the spiritual portion. They are specifically chosen to go with the name of the month and contribute to the sense of reverence. She also provides an extra song to end the business portion and start the social portion. This song usually has a lighter tone and is not necessarily related to the name of the month but may go with the season and is designed to inspire us to enjoy fellowship and unity and inspire us for service. All of her programs have all been tested “live,” so you can be confident that they’re paced well. Medium ($3) – includes specific Writings in a single-sheet format; 4 MP3’s; a printable booklet program for the Feast, with accompanying sheet music for the songs and a license to print out up to 9 copies of the sheet music. Heavy ($4) – includes specific Writings in a single-sheet format; 4 MP3’s; a printable booklet program for the Feast, with accompanying sheet music for the songs and a license to print out as many copies of the sheet music as you need. I hope you give her program a try at your next Feast! She makes the planning and organizing easy!